The protest started on December 10 against the scrapped undergraduate course and the non-residential tag. 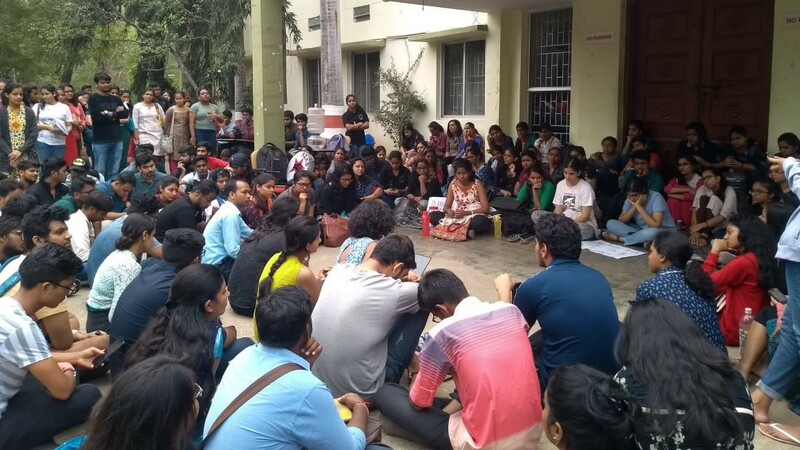 The students of Tata Institute of Social Sciences, Hyderabad, have entered the second week of their protest against the arbitrary decisions taken by the administration to make the campus non-residential and discontinue the only undergraduate course available at the campus, BA Social Sciences. The students started their protest on Monday, December 10, demanding that the administration have a dialogue with them and agree to their demands. However, in the past one week, no such thing has happened. On December 14, after repeated appeals from the students, a meeting was held between the student representatives and the Internal Management Committee (IMC) which runs the Hyderabad campus. However, nothing came out of that meeting. After this meeting, the students decided to continue the lockdown and stay in the campus until their demands were addressed. Before this, they were protesting only during the day. When there was no response from the Mumbai administration, the students decided to go on an indefinite hunger strike, starting from December 17. On the morning of December 17, the students received an email from the Mumbai administration that labelled all their demands as unjustified, and asked the students to call off the hunger strike, as no action will be taken by the administration. Thomas said, “The Mumbai administration said that a ‘section’ of students is organising the protests to spread their propaganda. However, in reality, all the students at the campus are protesting.” He also said that the protesting students are being threatened by the administration. “They have said that serious action will be taken against the protestors,” he said. But, the threats and the nonchalance on the administrations’ part have not discouraged the students. If anything, it has only made the students even angrier. The protest was joined by Radhika Vemula and Raja Vemula, mother and brother of Rohith Vemula. 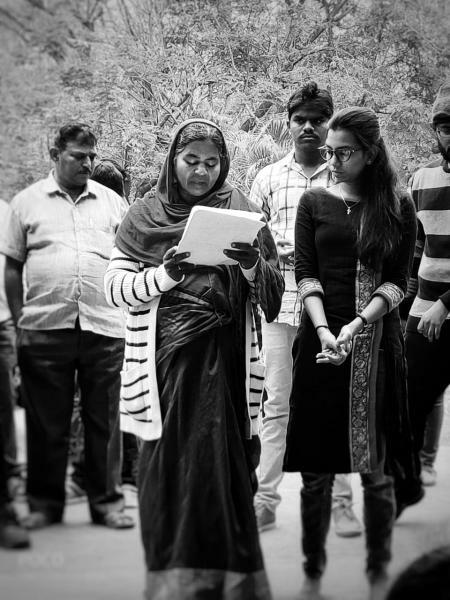 To show her solidarity with the students, Radhika Vemula also sat in hunger strike for a day. Professor Laxminarayan, Secretary of Telangana Save Education Committee, also joined the protesting students in solidarity. The students have said that they will continue to protest until their demands are heard, acknowledged, and met. Various student organisations from all over the country have also extended their support to the movement.